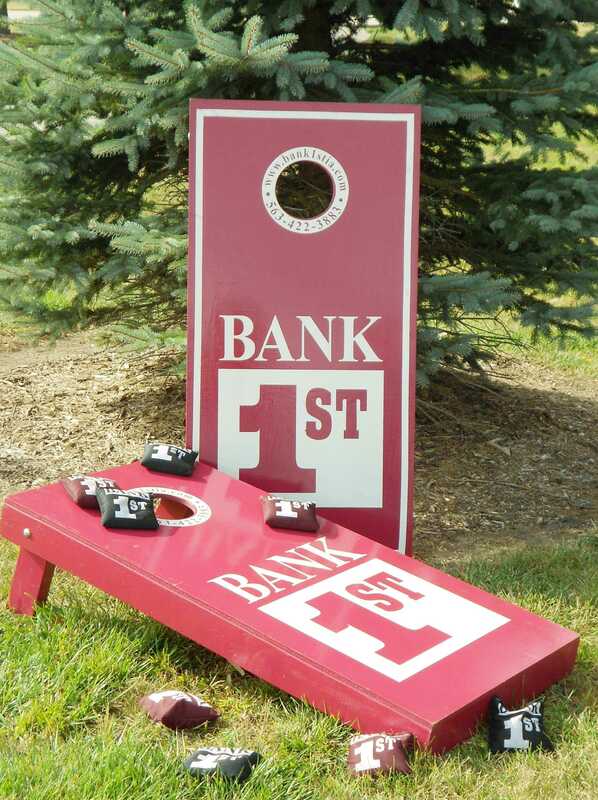 Bank 1st has four sets of bean bag board games available to our customers. Each set comes with two boards and bags. Customers may reserve as many as they need. Contact a Bank 1st employee for more information. How do I reserve the Bean Bag Boards? Contact a Bank 1st employee and check bean bag board availability. Reserve number of bean bag board sets needed. Stop by the Main Bank and fill out our Bean Bag Board Agreement. Pick up the sets you reserved and enjoy!